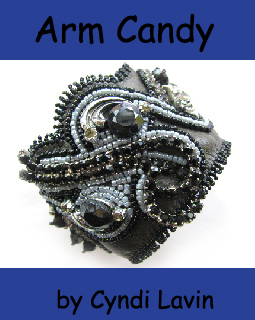 Beading Arts: Arm Candy...a new e-book coming soon! 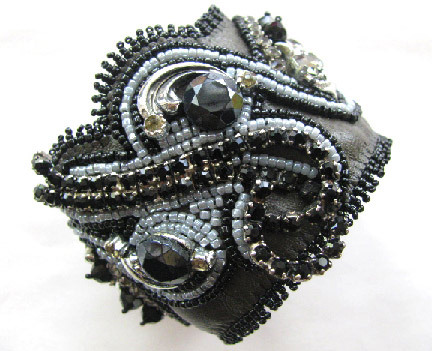 I have been working on a new series of bracelets that will allow you to upcycle broken commercial jewelry pieces into wonderful components for mixed media bead embroidered cuffs! 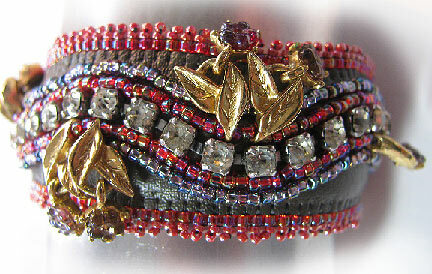 Having a huge collection of vintage pieces...much of it broken...inspired me to see what could be done. 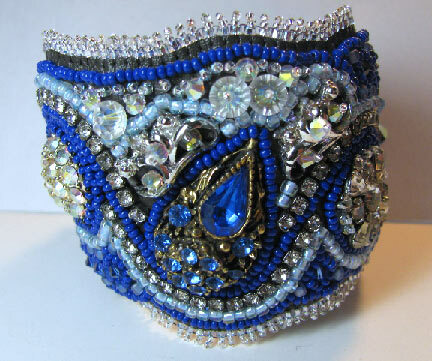 I decided to stick with bracelets this time since they work up quickly. All the techniques that are included will work equally well for making necklaces and pendants too, of course! I'm hoping that by telling you this, it will force me to buckle down and get the e-book finished before the end of the month. Here are the pieces which will be included, along step-by-step instructions, and all the information you need to design your own pieces. I can't wait to read it, Cyndi. 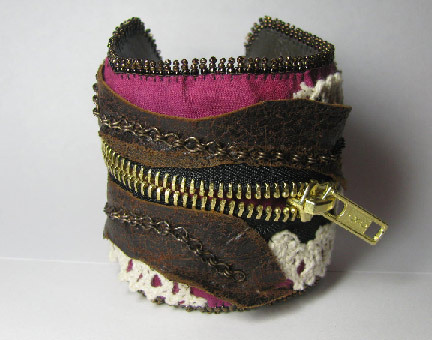 I love that zipper bracelet! Love love love the name and can't wait to read it.